Chris, aka Dj Ice-C, early discovered his affinity for Hip-Hop, Funk and Soul, but before starting with djing, he 1999 made his first steps in another element of Hip-Hop: B-Boying. After he spent a lot of time for practise in spinnin, mixin and scratchin, DJ Ice-C got the chance to spin at several schools out events back in 2002. 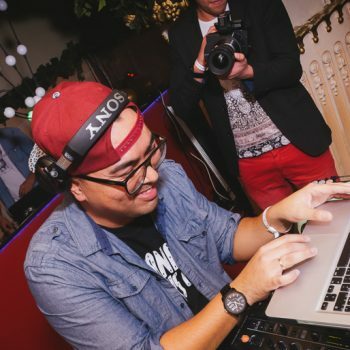 By-and-by he got bookings for Asiaparties, HipHop Jams and other bigger events and last but not least serious club promoters got interested in Dj Ice-C.
As spinnin in many clubs all over Germany, he meanwhile released a lot of mixtapes, like Take a ride 1-5 and HardKnockVibez vol. 1, which was official promoted and supported by MTV. In 2005, Dj Ice-C became Resident Dj at the famous Triple A Club in cologne and made the party people dance every weekend! During the NFL Europe season, he also became the official Aftergame Dj of the Cologne Centurions and got the chance to play at the RheinEnergy stadium in front of over 12000 fans and visitors. Dj Ice-C rocked the one and twos for many national and also international B-Boy Jams and Stand-up Battles like Battle of the Year, The Notorious IBE, Funkin Stylez World Finals, Floorwars Germany, Juste Debout Germany, Jammin on Beat, Doyobe, Ruhrpottbattle, Fighting 4 the South and many, many more…He also is Resident Dj at the annual Cologne Circle, Zitty Breakdown and Break de Cologne which is the biggest B-Boy Battle in the federal state NRW. Dj Ice-C always adapts his selection of music to the audience and has the ability to satisfy requests from Rnb to HipHop, Funky breaks to Oldschool and even some Housetunes!